Enough and more has been said about how the state of our roads is going from bad to worse and in these conditions, SUVs are the best cars money can possibly buy. 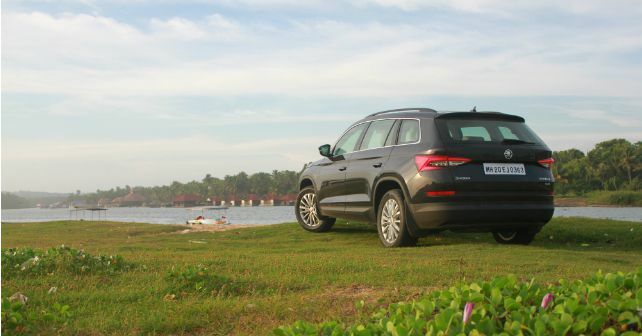 And it is no wonder that, over the past five years, the industry has seen a steady growth in the premium SUV segment. Today if you have about Rs 30-35 lakh to spend on an SUV, the options are aplenty. For those wanting the pride of a luxury carmaker on the bonnet, there is the Audi Q3, BMW X1, and Mercedes-Benz GLA. If big brawny SUVs are your thing then you have the Toyota Fortuner and the Ford Endeavour to choose from. And then there is the soft-roader Volkswagen Tiguan in the mix. 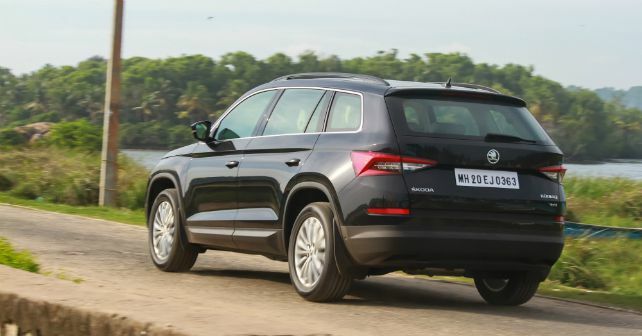 While most manufacturers already have a representative in the SUV space, Skoda isn’t a brand that you’d immediately associate with the segment. Yes, they did have the Yeti – a practical and spacious SUV in their fleet, but its price and almost van-like design never let it soar on the sales charts. The Czech manufacturer is now ready for a second assault in the SUV space, and this time around, they have decided to go premium. The Kodiaq is Skoda’s first attempt at a 7-seater SUV and it will take on the big guns like the Toyota Fortuner and the Ford Endeavour. Does it have the mettle to establish itself in a highly competitive segment? When Skoda unveiled the Kodiaq earlier this year the first thing that struck a cord was its design. 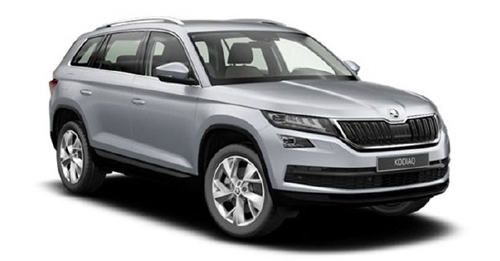 It’s amazing how Skoda has managed to retain its sharp design language on a gargantuan SUV. Its distinctive design makes it stand out from the crowd but at the same time, you can’t mistake it for anything but a Skoda. And the obviousness is in some really likable details – like the butterfly grille, the slender LED headlights, and the archetypal shoulder line. My personal favourite design element is the whetted taillight cluster that is similar to the one on the Superb but much leaner. On the inside, the dashboard looks neat and well-appointed but it isn’t the most creative layout out there. The vertically stacked design with the wide grey trim right in the centre, makes it look vaguely familiar to the Ford Endeavour’s dash. Camouflaged by this bold panel is a second glove box – which not only feels a bit loose and plasticy but weirdly also opens with a button on the bottom glove box. 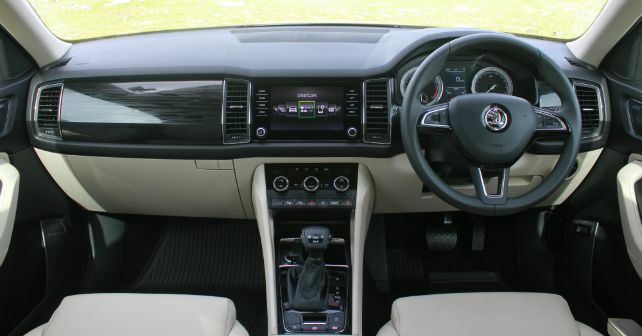 The infotainment system that has been borrowed from the Superb is crisp and responsive to touch. And that isn’t the only feature that the SUV shares with its sedan sibling. The Kodiaq also comes with a three-zone climate control, ambient lighting, touchscreen infotainment with Apple CarPlay and Android Auto, electric front seats with memory function, panoramic sunroof, all-around parking sensors with reversing camera and more. Being 4,697mm long, the Kodiaq promises to be spacious and it delivers. With all three-rows up, the Kodiaq has a respectable boot space of 270 litres but push the third row down and you can make up to 630 litres of space for your luggage. Moreover, you can fold down the seats with a lot of permutations and combinations to suit your loading requirements. As far as space is concerned, the third row is low and doesn’t offer enough under-thigh support even for average sized adults. In the second row, however, there is excess knee and leg room, some of which can be offered to the passengers at the back. While the seats are amply comfortable and well bolstered, the 40:20:40 split means that the third passenger at the back won’t be at ease. The front seats, with ample of side bolstering and lumbar support, are unarguably the most comfortable place to be. 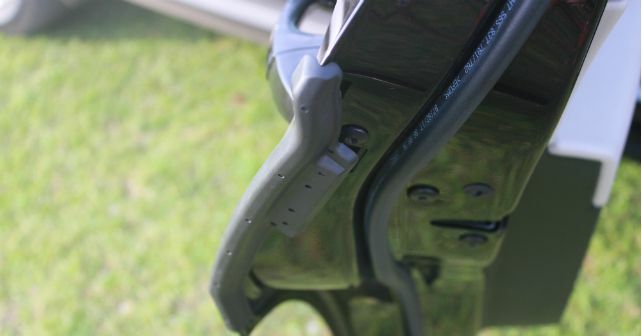 Skoda has employed a lot of ‘simply clever’ solutions to the Kodiaq – right from the umbrella in the door to the removable magnetic boot light. But the door scratch protector that juts out when you open the door and the hands-free boot is the most useful of the lot. Moving on to the bits that matter the most. 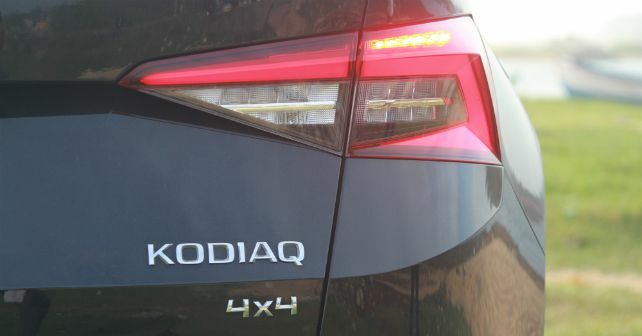 I have to admit, when I found out that Skoda will only be bringing in the 2.0-litre diesel motor in the 148bhp guise, I was a bit skeptical about its performance – and that especially knowing that the Kodiaq tips the scale 1,799kg. Out on the road though, you don’t quite feel it lacking. All of the 340Nm of torque comes in as low as 1,750rpm which gives it enough go right from low traffic speeds up to its mid-range. It is only when you push the car further towards its top-end that it tends to feel out of breath. The engine feels impressively refined and even the little noise that seeps inside the cabin doesn’t feel intrusive. The 7-speed DSG makes the Kodiaq absolutely fun to drive. It shifts so smoothly on request that you’ll find yourself using the paddles just for the thrill of it. The Kodiaq is also the first-ever Skoda to come with different driving modes – Eco, Normal, Sport, Snow and Individual. 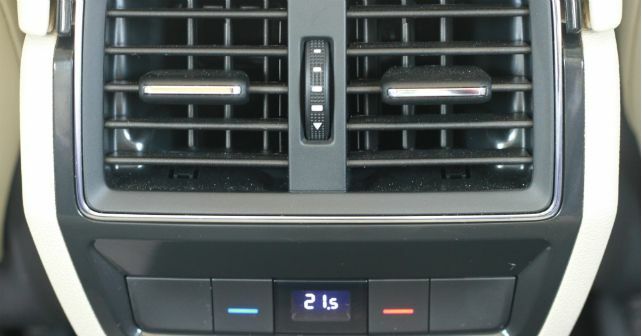 Each of these modes alters the steering, engine and gearbox response. 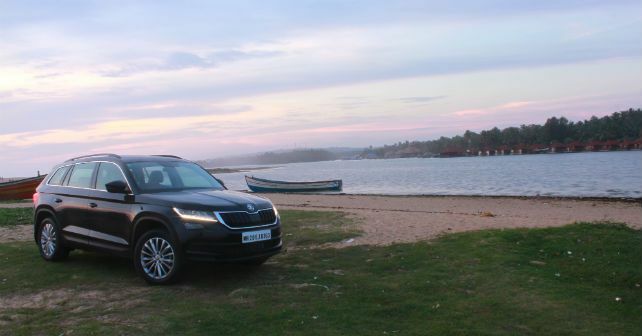 Some of the roads that we drove the Kodiaq over were rough and undulated but it managed to take them all in its stride and offer a rather flat ride. When driving over larger potholes and bumps, however, the car tends to communicate a mild discomfort to the passengers at the back. Of course, having a firm suspension has its obvious rewards as well. The Kodiaq really impresses in the handling department – especially given its size. It feels stable and within control at all times, so much so, that you’d almost forget that it’s a large SUV. The Kodiaq comes with an all-wheel drive system which on paper should help it tackle mild trail drives. That being said, we didn’t get a chance to explore this aspect of the car during the first drive and we would reserve our judgment until we get it for a test. From the time of its launch, the Kodiaq has sold nearly 20,000 units in the global market. And its success is all down to the fact that it performs all its functions with equal aplomb. The Kodiaq has the bulk that you’d expect from a full-sized SUV and yet it drives almost like a sedan. It works well as a 5+2 and has a long list of features. 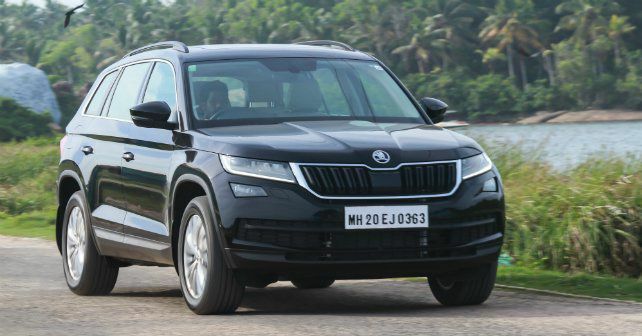 While it ticks all the right boxes, the Kodiaq’s future in india will also depend on its price. We expect it to be priced around the Rs 33 lakh mark when it gets launched on 4th October.